Last week, with the backing of new majority owners Royal Caribbean Cruises, Silversea announced orders for three new ships, two of a new “Evolution” class for its worldwide fleet and one ship for local use in the Galapagos Islands. This week we also have two cruise-related stories coming to you from the realms of rail and airline activity. 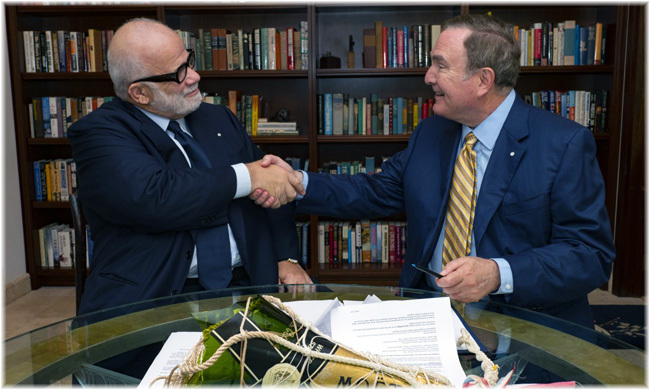 Royal Caribbean Cruises and Silversea Cruises last week announced agreements to build three new ships for Silversea, including two luxury vessels and an expedition ship for the Galapagos. In an interesting move, the new arrangement has led to a change in alleiance on Silversea’s part, from Italian-built ships, mainly from Fincantieri, to Meyer Werft in Germany. Silversea has signed a memorandum of understanding with Meyer Werft to build two new vessels of a new “Evolution” class, the first of which is expected to be delivered in 2022. Two 596-berth vessels, Silver Moon and Silver Dawn, are yet to be delivered by Fincantieri in 2020 and 2021. Silversea has also signed a contract with Dutch shipbuilder De Hoop to build a new 100-berth expedition vessel, the Silver Origin, to serve the Galapagos Islands itinerary currently operated by Silver Galapagos. 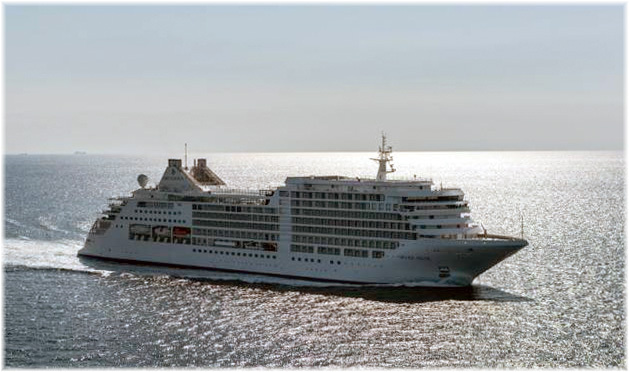 The Silver Origin had originally been intended to be introduced as Celebrity Origin, a sister ship of Celebrity Flora, but she will now be completed instead for new sister line Silversea. The new ship is expected to be delivered in March 2020. The agreements are subject to certain contingencies that are expected to be completed in the first quarter of 2019. No further details were given on the new “Evolution” class ships. A recent circular from Canadian railtour operator Rocky Mountaineer noted that fully 61% of British visitors to Canada who took an Alaska cruise booked a Rocky Mountaineer rail journey jn conjunction with their cruise. If this is true, then Rocky Mountaneer has been doing a pretty good job of marketing. Back in 1990, Canada’s national passenger rail operator VIA Rail sold off its Rockies by daylight scenic train to Vancouver-based Rocky Mountaineer Railtours. The train, soon renamed Rocky Mountaineer, has since developed into a world-class travel experience, operating on not just one but four different routes serving the Canadian Rockies. Formerly called the Kicking Horse route after the pass it takes through the Rockies, this is the most scenic and the most historically significant route, travelling as it does over the famous Canadian Pacific Railway, which opened Canada’s first trans-continental line in 1885. 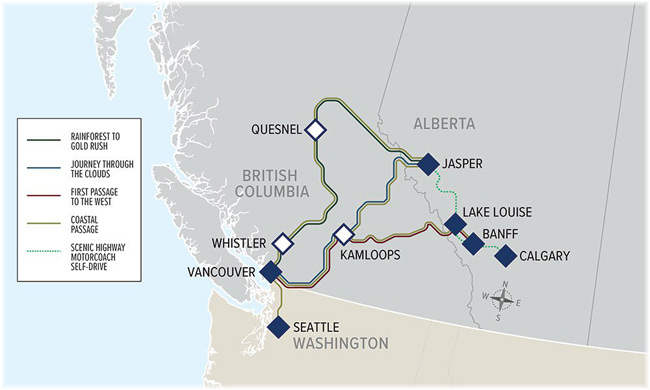 This is the original Rocky Mountaineer route, on which the company started in 1990, when the last regular passenger trains were discontinued. The Rocky Mountaineer is now the only passenger train over this famous and historic line. It departs three times a week from mid-April to mid-October, and the journey takes two full days with an overnight hotel stop included in the fare so that no views are missed. Formerly called the Yellowhead route after the pass taken through the Rockies, this route takes you over the second and later of the two main Canadian trans-continental railways, the Canadian Northern one, opened in 1917. This line was taken over by Canadian National Railways in 1921, and is the same route taken by VIA Rail’s Toronto to Vancouver train, The Canadian. Between Vancouver and Kamloops, the two routes are the same and trains sometimes run coupled together. For a circular tour, the best combination is the Kicking Horse route Vancouver-Banff, then by bus between Jasper and Banff via the Columbia Icefields, then from Jasper back to Vancouver. The Rocky Mountaineer Yellowhead trains run twice a week from mid-April to mid-October and the journey takes 2 full days with 1 overnight hotel included in the fare. Formerly called the Fraser Discovery route, this journey takes its passengers off the beaten track into gold-rush and timber country, rather than a famous trans-continental rail line. It follows the mighty Fraser River over the Pacific Great Eastern Railway (PGE), started in 1885 and only fully completed in 1952 – it was nicknamed the Prince George Eventually! It runs roughly weekly from mid-April to mid-October, and the journey takes three full days with overnight hotel stops at Whistler and Quesnel included. Rocky Mountaineer’s newest route connects Seattle, Washington with Vancouver BC, where it connects to the Canadian Rockies. Passengers experience a daylight ride on board the Rocky Mountaineer travelling along the Pacific Coast through temperate rainforests. Rocky Mountaineer offers two classes of service. Silver Leaf service, introduced in 2011, replaced the cheaper Red Leaf service. 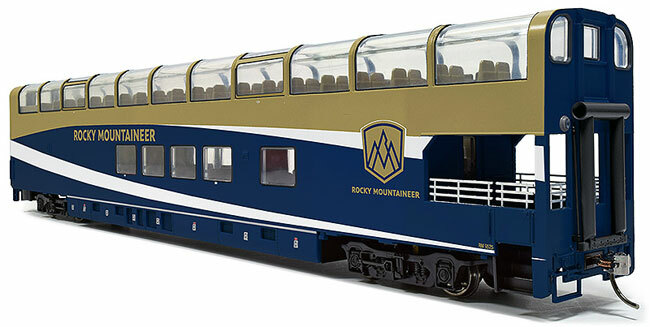 Silver Leaf passengers travel in a single-deck dome car with huge panoramic windows. The fare includes breakfast and lunch with complimentary beer or wine and non-alcoholic drinks. Gold Leaf service is the premium option. The scenery is the same, but the onboard experience more than meets expectations. If you can afford it, the food, wine, service, and not least, those upper level glass domes give the best all-round view of the Canadian Rockies you can get. Rocky Mountaineer works with Holland America Line on packages that include an Alaska cruise from either Seattle or Vancouver and a Rocky Mountaineer rail journey. Ships used for these cruises are mainly the 2,106-berth Nieuw Amsterdam and 1,440-berth Volendam. 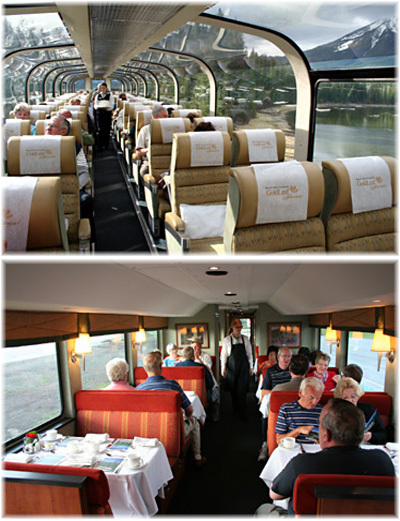 Other cruise lines are also packaged with the Rocky Mountaineer rail experience by other tour operators. Recently, The Cruise Examiner travelled out to Seattle and back from Vancuver with Icelandair, during which we were able to sample the hub-and-spoke service that airline operates over Reykjavik. Reykjavik’s international airport at Keflavik handled 8.75 million passengers in 2017, compared to 3.9 million in 2014 – more than doubling it’s business in less than three years. A small proportion of those passengers are cruise passengers handled by Iceland’s two main airlines, Icelandair and WOW Air. Icelandair, the country’s flag carrier, was founded in 1937 with a single float plane. Its fleet today numbers thirty-five aircraft, with another fourteen on order. 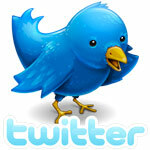 All its present fleet have been manufactured by Boeing in North America. 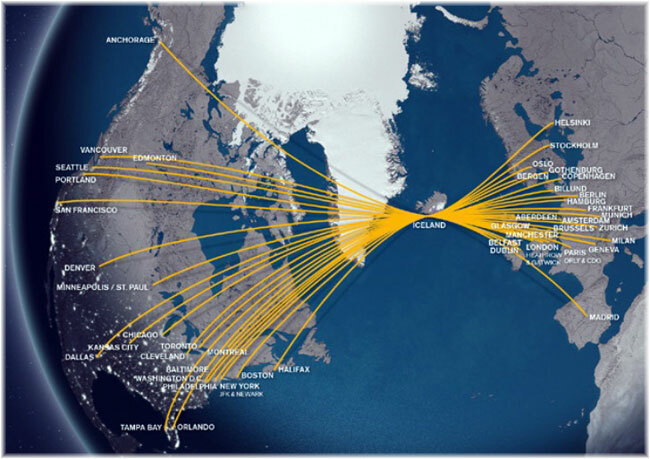 Icelandair serves twenty-three destinations in North America, many of which are cruise ship ports. The latter include Anchorage, Vancouver, Seattle, San Franciso, Chicago, Cleveland, Toronto, Montreal, Halifax, Boston, Philadelphia and Miami. Icelandair carried more than 4 million passengers in 2017 and it is projected to reach 4.4 million this year. Iceland’s second carrier, WOW Air has been in business since 2012 and now numbers twenty aircraft in its fleet, with another four on order. All are products of Airbus in Europe. WOW serves Boston, Washington, Los Angeles, San Francisco, Montréal, Toronto, New York, Pittsburgh and Miami and carried 2.8 million passengers in 2017. Both carriers use essentially the same formula, flying Transatlantic passengers into a hub at Reykjavik to change planes. My flight from London to Reykjavik took about three hours, while the onward leg to Seattle took about seven and a half hours. The elapsed time was little more than the ten hours it takes a non-stop aircraft to fly from London to Seattle. At Reykjavik, passengers have the opportunity either to break their trip and have breakfast or lunch before continuing their flight, or to take advantage of a night ot two in Iceland for a some touring. Tourists to Iceland more than tripled in the five years through 2017. Why Reykjavik one might ask? This soon becomes evident when comparing fares. But as well as Economy class, for a modest increase upgrades are available to Business Class and to extra legroom Economy Exit seats.